“Grandmother, the alchemist, you spun gold out of this hard life, conjured beauty from the things left behind. I first read Toni Morrison’s Sula when I was 17. Although I was old enough to appreciate its symbolism and complexity, I could not identify with the themes of judgement, love, loss and survival. I was 17. I had not lived, lost and learned that life could hold the dark moments. Several quotes from Sula remained with me in the 15 years since I’ve read the novel. Fifteen years have passed and I, an older and (hopefully) wiser woman, now understand the meaning of these quotes more deeply. I understand that Sula is inherently about life, love, choice and perspective. As I approach my 32nd birthday, I realize that this novel deserves revisiting, in order to better appreciate these themes. If you’ve read Sula, I’d be interested in hearing your thoughts on the novel. Are there any novels you read at a young age that now have deeper meaning to you as an adult? Between the World and Me is Ta-Nehisi Coate’s visceral and highly introspective account of what it means to be a black man in America. To Coate’s (and perhaps the millions who identify with this work, myself included), to be black in America means that your body is disposable. Cheap. Ripe for plunder. Between the World and Me is Coate’s first hand account of the historic and current violence against black men perpetrated by figures of authority in America. In this text, he forces America to take a long hard look at itself through a dirty mirror. And it hurts. All my life I’d heard people tell their black boys and black girls to “be twice as good”, which is to say “accept half as much.” These words would be spoken with a veneer of religious nobility, as though they evidenced some unspoken quality, some undetected courage, when in fact all they evidenced was the gun to our head and the hand in our pocket. …No one told those little white children, with their tricycles, to be twice as good. I imagined their parents telling them to take twice as much. It seemed to me that our own rules redoubled the plunder. A Long Read of A Brief History . . . I started reading Marlon James’ epic novel A Brief History of Seven Killings in May 2015 and did not finish until January 2016. I’m not a slow reader. In the past year I’ve read lengthy novels such as The Famished Road and The Wizard of the Crow in two weeks. I am also not averse to authors who utilize stream of consciousness, a complex technique that shifts between the interior monologues of multiple characters. Toni Morrison’s Beloved is one of my favorite novels of all time. But A Brief History bored me to the point that, for months, I lost motivation to finish. I don’t want to talk at length about what I did not like about this book. We Afro-Librarians prefer to leave lengthy book reviews to critics. This post is simply to share my thoughts on this highly lauded novel since so many readers have asked (via Twitter) for our opinion. And there were beautiful moments and applause worthy passages. The depiction of each significant death was simply poetic, magical even. So if you’re interested in 20th century historic fiction novel depicting Jamaica, politics and the nuance that is Bob Marley, this book will not disappoint. But readers be warned, this novel requires patience and stamina! implodes. Folds in on itself. Eats its insides. Turns wine to poison. impresses people. Chases lovers into corners. Leaves them longing. body. Dances wild and walks away, smiling. My TBR (to be read) list is a mile long and filled with books I want to blog about or have simply piqued my interest. But there are a few novels – 10 to be exact – that I absolutely have to read before I die. Some of these selections are critically acclaimed and highly recommended by readers. Others have been recommended by friends/family whose reading taste I highly respect. There are also a few that have simply been on my TBR list for so many years that it will be a huge accomplishment to check them off. This is one of the few classic novels my humanities-focused high school did not require us to read. I will use that as an excuse for how I somehow missed out on reading this gem. I’m intrigued by this novel because of its themes of faith and acceptance of fate. A Prayer for Owen Meany also makes my list because my baby brother, a fellow avid reader, lists it as his favorite book of all time. This novel has quite a heavy expectation to live up to! I actually was required to read this one in high school but after suffering through reading As I Lay Dying, I was NOT interested in hearing another word from Faulkner. I used Cliffnotes and Sparknotes to fudge my way through class discussions on The Sound and the Fury so I owe it to myself (and my humanities teachers) to finish this behemoth as an adult. I’ve read snippets of John Steinbeck’s novels and have to say that I am in love with his writing style. The Grapes of Wrath is another one of those critically acclaimed novels that no one wants to admit (publicly) they haven’t read. But the Afro-library is a safe space so…”Hi, my name is ____and I have never read Steinbeck”. Albert Murray is one of the most underrated African American authors of the 20th Century in spite of the fact that he writes beautifully and brilliantly. He is the favorite author of one of our Afro-Librarians. 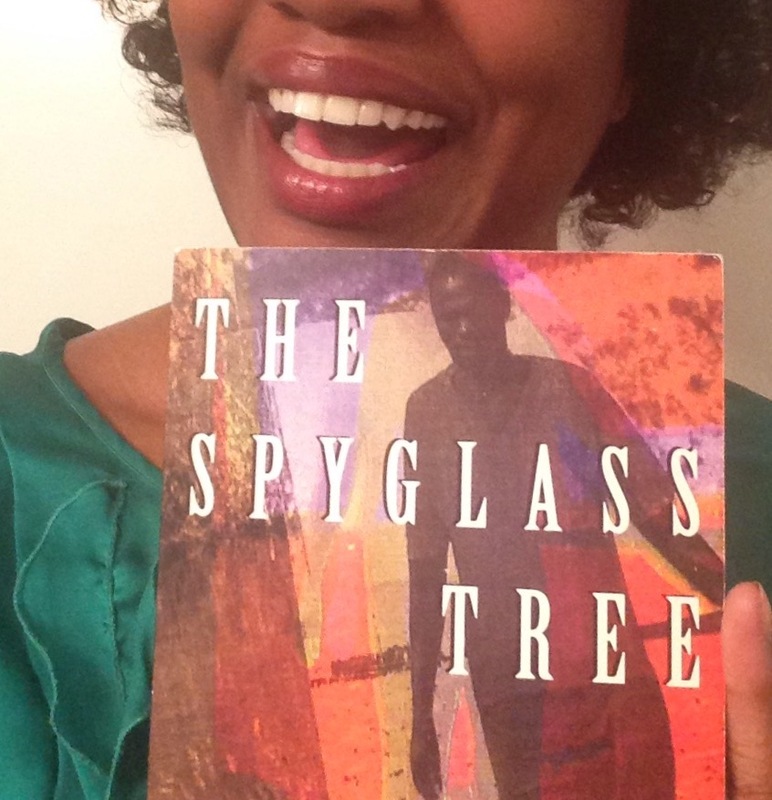 Also, The Spyglass Tree happens to be my husband’s favorite novel. This one had to make the list. Speaking of men in my life whom I love and respect, I consider my dad to be a pretty cool dude as well . . . just don’t tell him I said that. He has often said that as a teenager, Dandelion Wine, a coming of age tale loosely mirroring Ray Bradbury’s life, was his favorite book. For that reason alone, it’s on my must-read list. Growing up, I was a HUGE fan of Stephen King. I had a mild obsession with his writing until I read one of his earlier works — It. After reading It, King’s most famous horror novel, I was left disturbed, rocking in fetal position and unable to read anything scarier than R.L. Stine’s Goosebumps. I’ve had several years to get over this trauma and am now ready to rekindle my love affair with King. The first novel of my choosing will be his epic politico-thriller titled 11/22/63. Any book snob worth a grain of salt would never admit to seeing the movie version before reading the novel. But I admit that I overlooked the magic and beauty of Tolkien’s ‘Middle Earth’ until the films were released in the early 2000’s. I now own the films, prequels, and over 16 hours of extended footage. Suffice it to say, I am somewhat of a fan. But, I’ll never reach true LOTR fandom until I read this novel in its entirety. This sounds like a summer project…. I saved this entry for last because I could not think of an interesting reason as to why this novel has been on my ‘Book Bucket List’ for so many years. The primary reason is simply that the plot sounds really cool: “a ‘dystopian’ novel . . . set in the near future, in a totalitarian Christian theocracy which has overthrown the United States government . . . explores themes of women in subjugation and the various means by which they gain agency.” I’ve been drawn to this book for years so it’s time to verify whether my instincts about it are correct. If you’re anything like me, the hardest part about permanently committing to a vegetarian lifestyle is giving up favorite foods – American soul food, Caribbean cuisines, and African dishes. Sure, I can load up on collard greens (sans the meat flavoring) and sweet potato souffle, but there are so many other dishes I gave up because I don’t know how to prepare them without using meat. This book is more than just a cookbook, it’s a lifestyle guide to help new vegans learn where to shop, how to plan meals, understand restaurant menus and simply eat healthy. This is a must-read for those even considering a dietary change. Soul food doesn’t have to be greasy and loaded with meat. It can be fresh, healthy and also taste amazing. This wonderful cookbook will help you think outside of the box and eat flavorful comfort food without compromising your health and nutrition goals. Another vegan cookbook by acclaimed Afro-Vegan Bryant Terry. Here you will find recipes from Africa and the Diaspora with a creative and delicious vegan twist. This is a great book to add to your culinary rotation if you’re getting bored with traditional American vegan recipes. This cookbook will convince any nonbeliever that you can maintain the same delicious soul food flavors you grew up eating without using meat or unhealthy ingredients. The cheese grits and sweet potatoe pie recipes are my favorite but there are so many recipes here I am itching to try. In 1967 Wole Soyinka was imprisoned for twenty-two months, a large part of the time in isolation. He has said that the prison is meant to “break down the human mind”, and yet, without much opportunity to write, and often having to memorize in large part, he constructed, A Shuttle in the Crypt, a book of poems which he terms ‘prisonettes’. A ‘prisonette’ is not a poem of or about prisons, but what can come out of the prisons given that they are not the constructions in which anyone can occupy such a space. The prison is the specific expression of the prisoner; the prison was made for the prisoner—it is the natural expression of poetics of place.